Welcome to this week's Inspiration Profile - her name is Christine Martin and she recently interviewed me for her blog, Somebody's Home, so we made it an exchange and she did the Inspiration Profile for me. 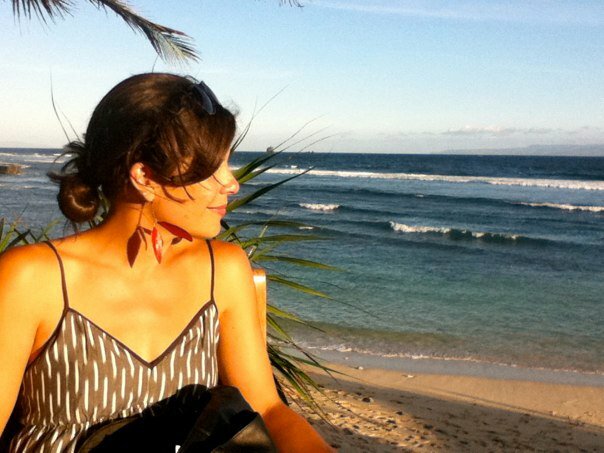 Originally from California, Martin is a newbie to the interior design world after being a teacher for 15 years and has recently completed her design studies. She has travelled extensively and lived in different parts of the world, so as a result Martin is interested in 'globally inspired spaces with warmth, comfort and style'. What do you do: I’ve been a teacher for 15 years, ten of those internationally. Having lived in other countries (Spain, Colombia, Tunisia, Korea) has afforded me the experience of creating a home several times. It is what I look forward to doing as soon as I get to a new destination. 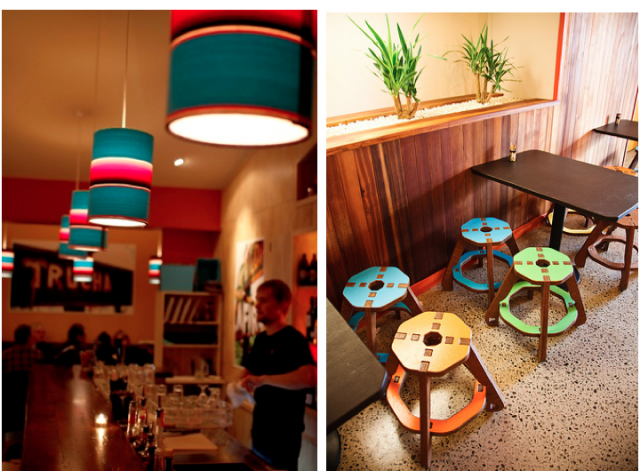 My travels have influenced the global/eclectic style I so appreciate in spaces. This natural love for interiors led me to complete a certification in Interior Design & Architecture. I am currently shifting into that career and love it! Where do you live: I live in Seoul, Korea; I’ve been here four years. 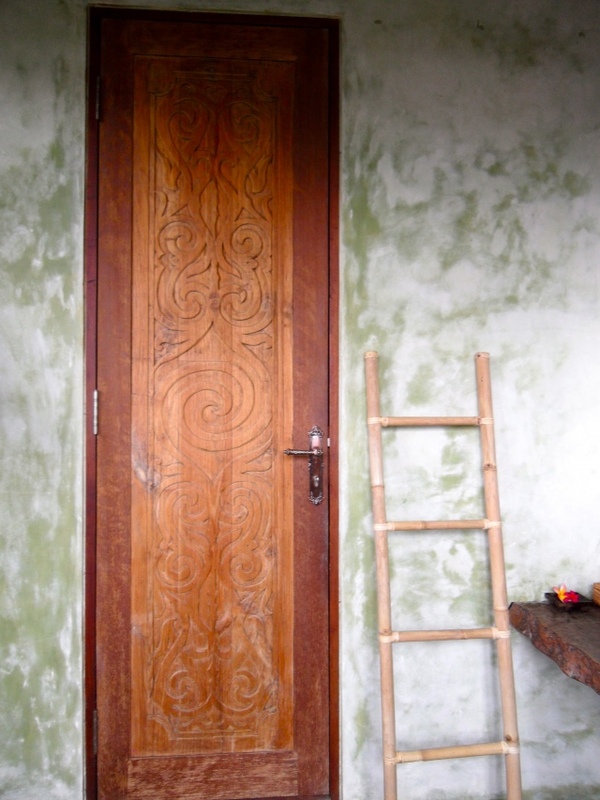 In October 2012, my husband and I will be moving to Laos to start something new. We are looking to combine our passions: yoga, life coaching and interior design. We’re super excited and petrified all at once. What are you working on: I’ve never felt so busy as I do these days. I’m currently designing the homes of two families living overseas (also international teachers) moving to Saudi Arabia in August. As well, I’m blogging like mad on both my design blog and my personal blog that chronicles our life transition. I love the writing and am having fun making connections with people. Preparing for our next move also takes time and energy. I’m juggling this with my teaching job which contractually ends in June. Life’s a little crazy at the moment, but I feel really inspired. 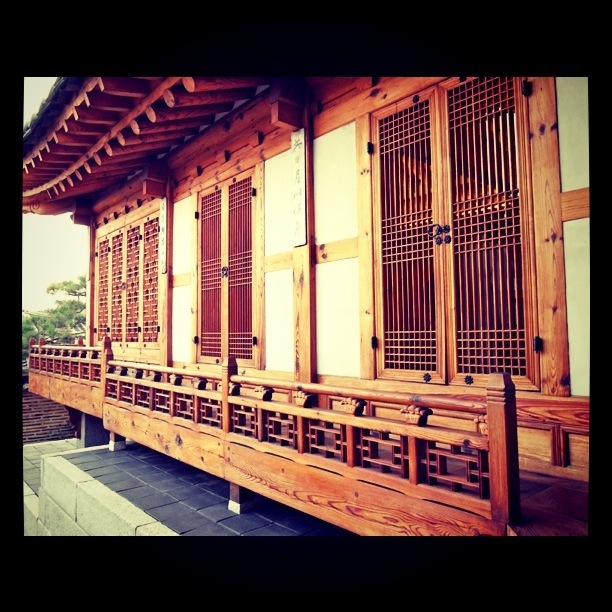 Hanok - a Korean traditional house. 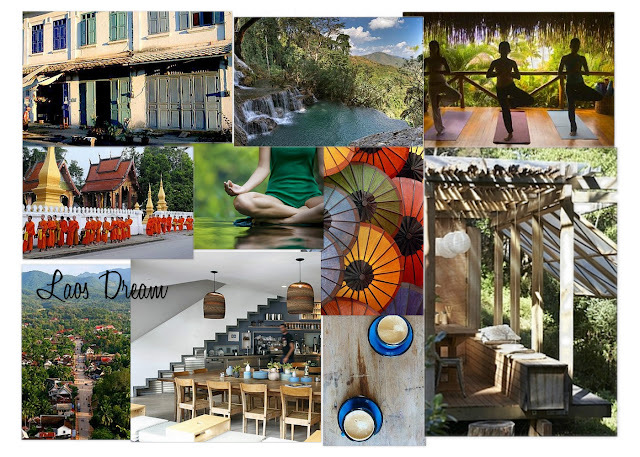 Getting ready for Laos - with ideas for a yoga studio and cafe. I work best: At night; after dinner. My husband goes to bed early since he’s an early riser, and so the apartment is quiet. I usually have some peppermint tea, sit on the living room rug with my laptop, and get going. The lighting is dim; sometimes I light a candle or play music. Seems like this would lull me to sleep, but it doesn’t. In this setting, I can be up for hours. Most times, I have to make myself go to bed. What I do when I’m stuck for inspiration: I take a walk or bike along the river near our apartment and listen to music or to a podcast. I don’t know if it’s the movement or the creative spark that comes from what I’m listening to, but I usually get at least one idea on those walks. The best advice I have been given is: “Ama viviendo, vive amando”... (Love living, live loving). My mom wrote this to me once in an email and I’ve kept as a signature quote ever since. Just reminds me of two important things in life - gratitude and love. My latest discovery is: Guest blogging: what a great way to connect with other respectable bloggers and get what you’re passionate about “out there” more. Also, I’m learning to better interpret my design ideas on Olioboard. It’s a fun program and space to meet other design lovers. 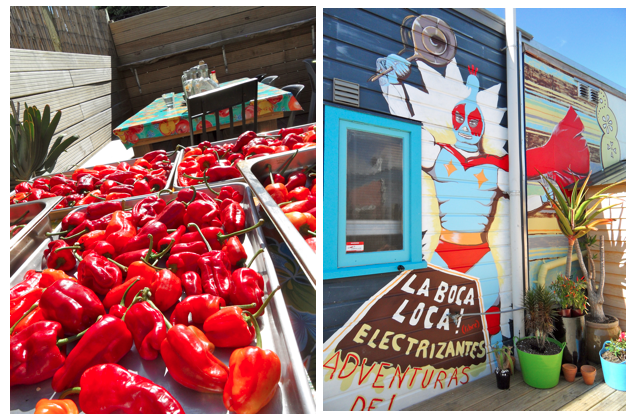 Martin recently visited Wellington's Mexican restaurant, La Boca Loca - read her interview here. Krista Tippett’s interviews on her podcast, On Being. (she hosts amazing people who have incredible life messages). Magazines that inspire me: Dwell, Elle Decor, House Beautiful, Canadian House & Home. Inspiration Cooperative - Therese publishes everything from design to fashion to recipes and everything in between. Her friendly, open manner attracts a positive community of inspirational people. The Bohemian Girl - Visually, it’s stunning. This is Colossal - This blog explores major creations in art and design. Penelope Truck - Co founder of Brazen Careerist, Penelope writes with wisdom and sass on a wide range of topics, such from start-ups to parenting. I love her style. The Bloggess - If I ever need a full on belly laugh, this is where I go. The woman is keenly clever and outrageous. My favourite room at home is: Our living room. It’s comfortable and has some of my favorite decor pieces: an antique style Korean credenza, wrought iron & glass lanterns from Tunis, a lovely hanging batik from Bali. Each item reminds me of a special time and they really represent my style. Also, I’m a little nuts about the “right” lighting. It has to be warm and inviting. Table and floor lamps combined w ith candlelight make me happy. My office is: At the moment, anywhere my laptop is. I work at home, but I also enjoy plopping myself down in a quaint Korean cafe with a cappuccino. I drink lots of cappuccinos. What am I looking forward to: Watching our new careers unfold. I had been stuck for a while. Having taught for so long, I doubted there was anything else out there for me. Working through that phase and discovering my new potential has given me an entirely bright scope on the future. I honestly feel like someone unlatched the lock of the birdcage. It’s very liberating. Christine Martin has written for other publications about interiors that she has visited. Keep an eye on her blog here for her future work. You can follow her Twitter account here and check out her Pinterest boards here. 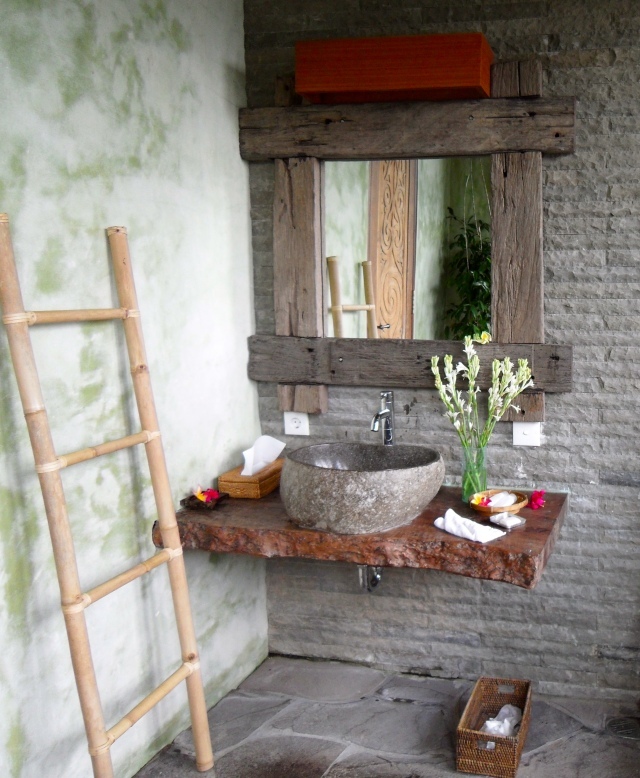 Soulshine, Bali - Martin wrote about her visit to this villa. Read the article and see more photos here. All photographs used with permission from Christine Martin.